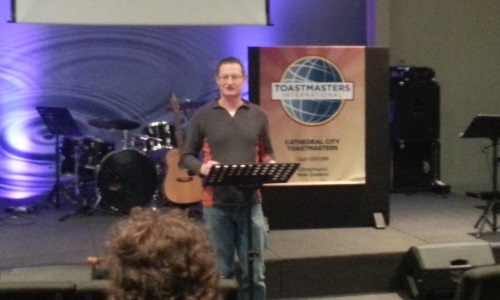 Toastmaster JP kicked the evening off with relevance tonight. 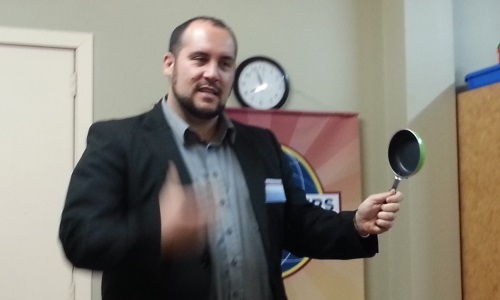 Relevance, because of the difference Toastmasters is making in JP’s life now, with work, new job interviews and growth. We love to hear stories like this. Dave Young took a clean sweep of the winter trophy collection tonight with two winning speeches! It was a massive evening with nine speeches in total, including several ‘firsts’ for people involved. With a slow clock doing it’s best to start us late, a relaxed Toastmaster Gary took charge of the situation and launched the meeting with style and grace. Toastmaster Chrissy was very excited when she saw the massive lineup of cars in the parking lot and people filling into the auditorium tonight. 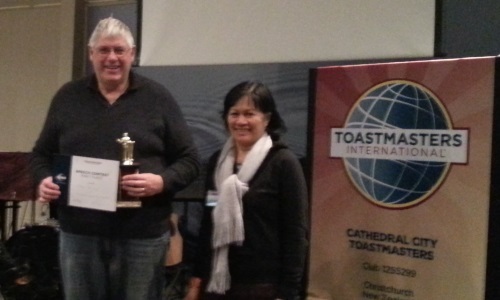 But we weren’t using the auditorium tonight, and the masses of people weren’t all coming to join our Toastmasters club! But we did have one welcome guest and some fantastic speeches.